The writing’s on the wall. The internal communication at your hospital is seriously lacking. Employees are frustrated and unhappy. The hospital is consistently losing money. And the list goes on. Despite how justifiable it is to get a new intranet to improve your healthcare and medical communication at your facility, conveying the need to upper level management or the board can be a tough sell. Working with a lot of mid-level management, I often hear and help overcome many of these internal “sales” hang-ups. I’ll use this blog post to help you sell this need. Regardless of how inexpensive a particular system may be, for hospitals with a limited budget and/or resources, every dime counts. 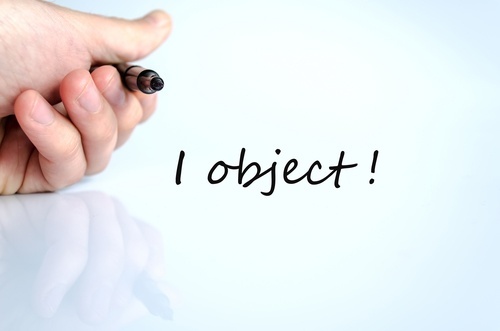 There are a few things you can do to overcome this objection. Ask your potential vender(s) for an ROI white paper that outlines not only the amount of money that can be saved by getting an intranet, but also how the system will do that. For management that watches the bottom line and works in black and white numbers, a document like this will tug at their heartstrings. Also, don’t be afraid to ask your vendors for different payment plans. Since this will serve as the central communication hub for all your hospital’s employees, you don’t want to skimp. However, by asking for a delayed support invoice or splitting the license cost over two years, this cost will seem like less of a burden. Along those lines, budgets are often split between the various departments/projects of a hospital. So if the price of the intranet doesn’t fit just in the IT or Marketing budgets, you can justify pooling money from other departments/projects since this system will ultimately be used by everyone at the facility. It sometimes can be hard to see the perceived value of something if that something doesn’t affect you on a day-to-day basis. You have to know the audience you’re trying to sell to. Yes, you know how implementing new intranet will help you and your team, but this may be hard for the board to see; at least initially. To first gain some traction, you want to present the board/upper management with how the system will help them. Highlight features like the board portal or the dashboard capabilities of the system. Ask your [potential] vendor(s) for management-geared marketing materials: case studies, webinars, pre-recorded product highlight videos, an ePackage of system screen shots with descriptions, and anything else that’s applicable. Another great idea is if you’re able to get a brief timeslot in the next board/management meeting for your potential vendor to give a curtailed demo of just some key features you and your vendor decide upon. This way, it gives the board/management the opportunity to ask specific questions and prevents you from having to play middle-man. Technology is constantly updating, so there is almost always a need to get new tech or new software to be implemented into a hospital; and getting an intranet is one of them! Two common projects I hear about throwing a wrench into your intranet plans are implementing a new Policy Manager and getting a new EMR system. Both of these are typically big projects, but that doesn’t mean implementing a new intranet has to be put on the backburner. In fact, a good intranet system will help supplement these other projects! With a Policy Management Software project, an intranet can serve as a launching pad of sorts to help advertise and organize a policy and procedure management project. There should also be very little overlap, if any, of staff that need to tend to both projects. In contrast to an EMR project, implementing a new intranet shouldn’t take nearly as long. An EMR project should not directly compete with an intranet project other than potentially budgeting. Plus, there is typically rigorous training involved in implementing a new EMR system. You can use your new intranet to help schedule trainings, organize training documents and manuals, and link to other helpful resources.